Good news LG G Flex owners, today, T-Mobile has finally cleared Android 4.4 KitKat for landing. If you check your software updates now through the settings menu, you should see it available as an over-the-air download. 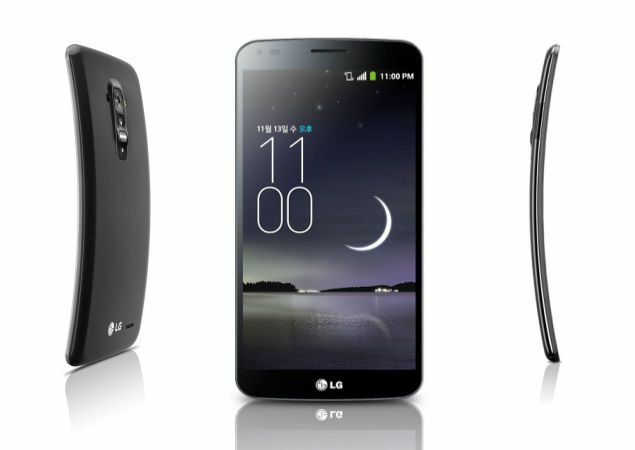 The update also comes alongside the new KnockCode feature, and should bring G Flex users some increased battery life. For full details on the update, hit T-Mobile’s support page. As always, let us know if you experience anything major good/bad with the update. ← Does T-Mobile really “need” a Sprint merger to be competitive? Yes been waiting two weeks for this software update. That phone is sooooo BIG! It is nice though. No dice yet. When I check it still says “Your system is up to date”. I know because a friend of mine has the Sony Xperia Z and ask me if any news on software update I tell him every time sadly no. Sony just isn’t ready for primetime, they just aren’t. Their flagship still isn’t available on all carriers like Samsung, HTC, and LG’s are. T-Mobile pulled a fast one and removed the information for the new firmware update. I noticed that. They lied to me and told me the update is only available through manufacturer only.i called LG and they tolde Tmobile lied to me and that they would send the me the update. Funny how these people lie about these things for no good reason. All four of us that bought this awesome phone are disappointed the update got pulled. This is my favorite (of many Android) phone I’ve had. I’m looking forward to the update and I’m sorry that it was pulled. I’m not as impatient as I used to be for updates so I guess I’ll sit back and wait some more. Still no update. Anyone else not receiving the update either? Same here… still can’t update mine. Nothing for me this morning. Still ‘Up To Date’ at 4.2.2. Restart your phone and if that does not work check at noon. I do have the new firmware update and have proof but showing on here i am unable to uhg. I believe you! I’m happy that people seem to be getting it and I’ll check from time to time. No update as of 30 minutes ago. That was pretty funny :) I did just remember that I rooted the phone a while back. Still stock ROM and recovery. If it doesn’t update by this weekend I’ll un root it and see if that helps. I un rooted and still no update. I figured I’d lose my root anyway and really don’t need it. I finally downloaded and installed the KitKat update using the LG PC Suite software. I’m not sure if it ever would have gone on its own. On the upgrade screen it did show as ROOTED in red but I verified before and after that apps that need root access does not have it. I gave up on the OTA update and installed pc suite. That had no problem identifying my phone needed the update… weird. Got mine around 8 this morning. Whos your carrier and where are you at? So you got your update. Thats awesome. Im in FL. Hope i get mine soon. Just got off the phone with tmobile and they told me i could be waiting as long as june 20 for the update. That’s ridiculous, June 20th?? We’re practically neighbors. Maybe they’ll offer a manual update soon. Also check to see if you have it set to update on wi-fi only, since it’s a big file. Looks like two people out of the four got the update so far… Still waiting on mine. Hey as of 3:28am 5/7/2014 i am now downloading 4.4.2 for the T-Mobile LG G Flex! Let’s see it for the Xperia Z! Come on, Tmo, Sony’s released it! im still waiting for this F*cking update and NADAAA! Kinda does make you wonder if you want to download it… But still if you plug your phone into the pc via LG’s download tool it should still work right? Don’t rush it because now my gps is a locator and it does not work with Starbucks app to locate stores in my area just to name one issue.